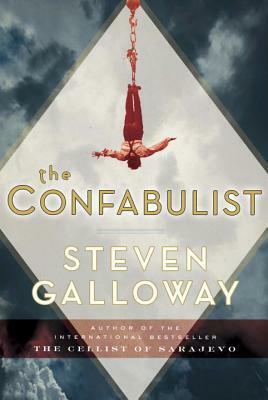 The Confabulist was even better than I expected. First, we meet Martin Strauss, who is just receiving his diagnosis from the doctor. I was not at all paying attention to him, that much I know. But then, out of nowhere, he said something that was impossible to miss. Martin has a rare condition that affects the brain’s ability to store and process memories. In response to this, the brain invents new memories. This sets us up right away with an unreliable narrator. As Martin tells us his story, which he is anxious to do before he loses all of his memories, how do we know what is real and what is not? How is it we can be so sure that we’ve seen, heard, or experienced what we think we have? In a magic trick, the things you don’t see or think you see have a culmination, because at the end of the trick there’s an effect. But if life works the same way, and I believe it does, then a percentage of our lives is a fiction. There’s no way to know whether anything we have seen or experienced is real or imagined. Martin’s story takes us into the world of Harry Houdini. We hear about his life, his secrets, and his strong disbelief in spiritualism. We hear about his dealings with the Romanov family, Sir Arthur Conan Doyle, and the head of the Secret Service. But, what Martin knows that no one else does is that: “I didn’t just kill Harry Houdini. I killed him twice.” This is the story he wants to tell. My interest in magic has been lifelong; as a boy I was fascinated by any trick, no matter how poorly executed. My father laughed at this. He thought I was a fool, easily manipulated, but he wasn’t seeing what I saw. Even with the worst of magicians I saw wonder. It didn’t matter that I knew how the trick was done, or how inexpert their methods were. That wasn’t the point. They made me believe there was more to the world than I was able to see. Or better, that it was possible for multiple worlds to exist at once. While Houdini commands attention and exudes confidence, Martin feels useless and inadequate. Yet, he has a big part to play in his life, whether he can remember it or not. This story shows us that love is stronger than feelings of inadequacy, grief, fame, magic, and even the presence or absence of memories. If you enjoy magic and/or spiritualism at all, or have ever been interested in Houdini and his methods, you should read this book. It is packed full of Houdini and the era in which he lived. To make things even better, we have Martin Strauss as our guide, reminding us along the way that things aren’t always as they seem, and that we can’t always trust our memories to be what we think they are. I highly recommend this entertaining, thought-provoking novel. Magic that is not real magic affects us because it mirrors our existence. We know that what we see isn’t as it seems, but we want it to be and want to understand it. We want to be fooled, and then want to know how we were fooled. We cannot prevent our minds from trying to figure out how the trick was done. I believe this is more than just intellectual curiosity. We strive for immortality in the face of its impossibility. If I’ve learned anything in my life it’s that magicians aren’t the only ones hiding their identities from the world. 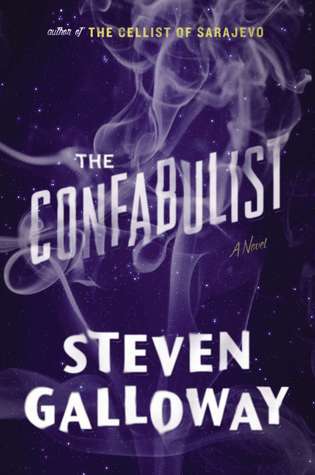 A couple of months ago I read, and loved, The Cellist of Sarajevo, also by Steven Galloway. This one is very different, but I found myself just as captivated by it. I hope it gets the attention that it deserves. This sounds like a beautiful book, another one for my wish list I think! I have been wavering on this one, and this review just out me over the top. Thanks for the great review! Both of these books sound really good. They are! And, so different from each other. I read half of this book at my local reference library (couldn’t borrow it because it was reference only) and I was captivated! If I wasn’t such a squirmy reader I would have finished it on the spot. BUT I left and bought myself a copy and your review is making me want to go finish it! I’m fascinated with magic as well. I love that you wrote “Magic that is not real magic affects us because it mirrors our existence.” it’s so true! Yes, I was also captivated from the very beginning. And, I love all the ways Galloway uses the ideas of magic, illusion, and perceptions to describe life. It sounds like finishing it would be pretty quick since you are already half-way through! Enjoy! This sounds really interesting. The Cellist of Sarajevo has been on my list for a while now, too! Both are so good! Now I want to go back and read his first two! This sounds like a lovely read and for sure a different type of brain illness – inventing new memories? I had never heard of that before. I didn’t even think to look it up. This is a book that I think would appeal to a wide range of people. I love unreliable narrators. Magic would be a new area for me. This sounds intriguing though so I will check it out! This is a good book, I think, for just about anyone. It was fun and interesting, with great writing and characters. Jealous that you have read both Cellist and this book. I think it’s cool that Sherlock Holmes is a character in this book and I’ve always found Houdini a fascinating historical figure. Just creeping through your old reviews because I’m pretty positive you recommended this book to me and I just finished it AND I LOVED IT. The whole time I was honestly waiting for Martin to somehow BE Houdini. Ah now I want to know more about Houdini in general! Yay! So glad you loved it! It made me want to know more about him, too. Can’t wait to see your review!